Starting on Armed Forces Day, May 17th, Americans throughout the U.S. will show their support of the 1.4 million men and women who are currently serving by completing as many pushups as they can in 90 seconds. 1. 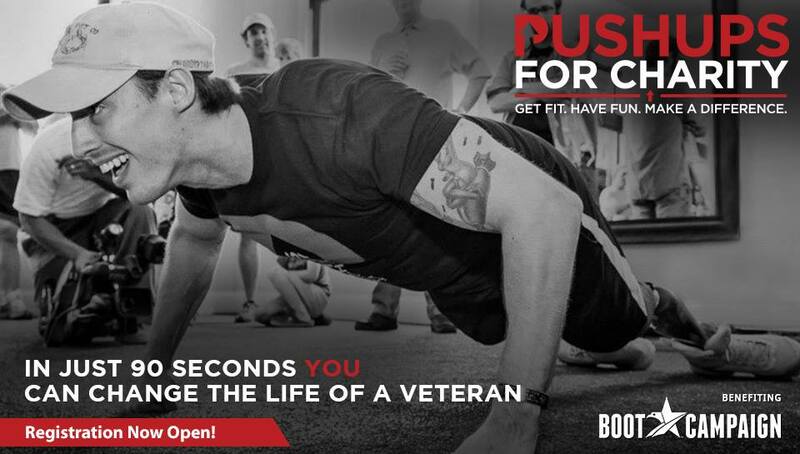 Go to Pushups For Charity website here. 4. Click “Participate” if you want to be a part of the event or “Donate” if you just want to make a tax-deductible donation. Each pushup completed raises much needed funds for Boot Campaign ®, a national nonprofit that promotes patriotism, raises awareness and provides vital assistance for our nation’s heroes. The Boot Campaign ® provides assistance to our military and their family members through six key initiatives: Jobs, Housing, Wellness, Education, Urgent Assistance and Family Support.